7th of September 2017 it was World Duchenne Awareness Day (WDAD). Traditionally on this day, worldwide WDAD balloons were released. 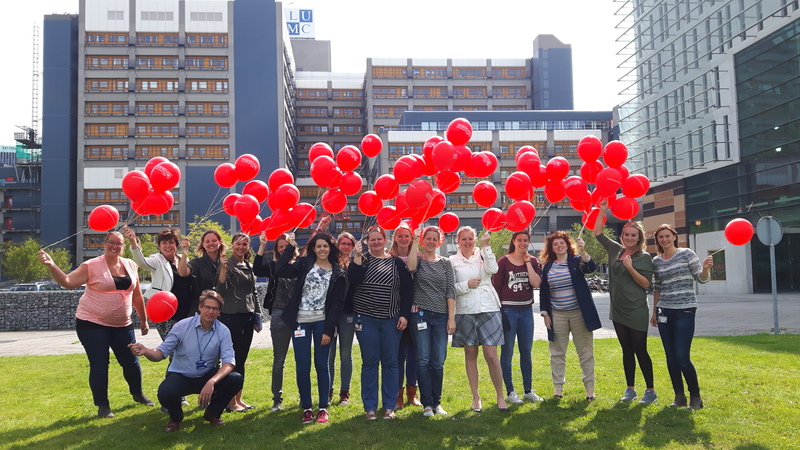 Our group, together with colleagues from the LUMC who are also involved in Duchenne, released 79 balloons: the amount of exons in the dystrophin gene. Duchenne Centrum Nederland made a short movie to show that we (researchers, health care workers, patients, patient organisations) stand together for Duchenne in the Netherlands. In this movie a balloon is passed to one another. 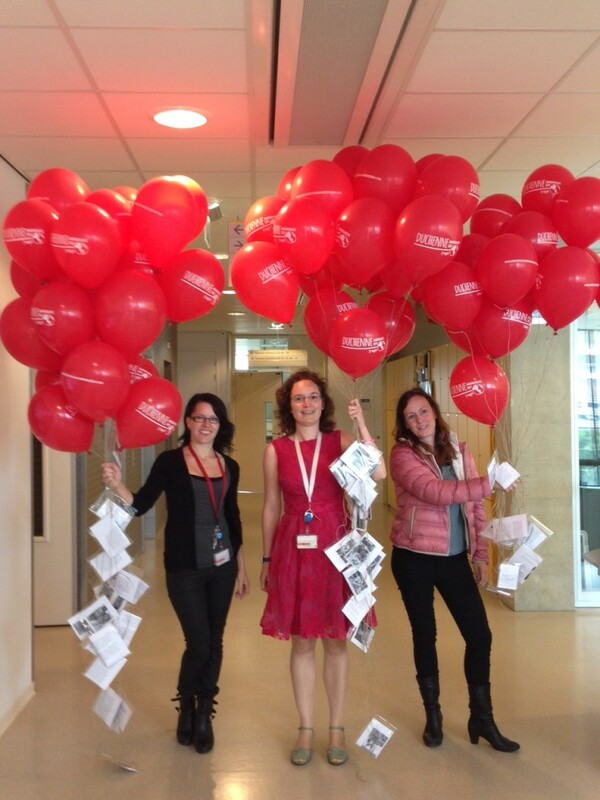 In this way, the balloon virtually passed people involved in Duchenne around the Netherlands. 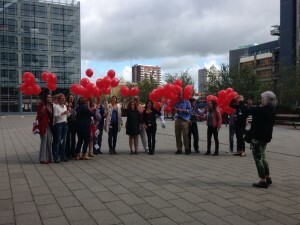 7th of September 2015 it was Duchenne Awareness Day. A Day everybody linked to Duchenne Muscular Dystrophy (Patients; Parents; Hospitals and reasearchers like ourselfs) tries to raise awareness for the disease boys are suffering from. ♦ Annemieke Aartsma-Rus has been nominated in the category “Knappe Koppen” (brainiacs), by the magazine VIVA; they lists 400 inspiring women who achieved something remarkable last year, the VIVA-400 list. 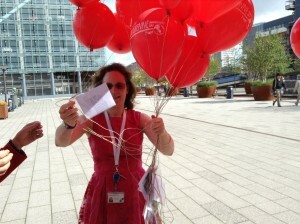 The public can then vote for their favourite, leading to winners in each category. ♦ Annemieke Aartsma-Rus was a guest at the Dutch radio show “Een Vandaag” in the item “Wetenschap op Woensdag”. You can listen to the interview (in Dutch). ♦ Ziekte van Duchenne en gevaarlijke bloedtransfusies; een radio optreden van Annieke bij de NPO. ♦ When Annemieke Aartsma-Rus visited Germany for a meeting, she was interviewed by Günter Scheuerbrandt. You can read the interview here. More information about Günter Scheuerbrandt and the overviews he has written about DMD (in a language parents and patients can understand) can be found on his website. 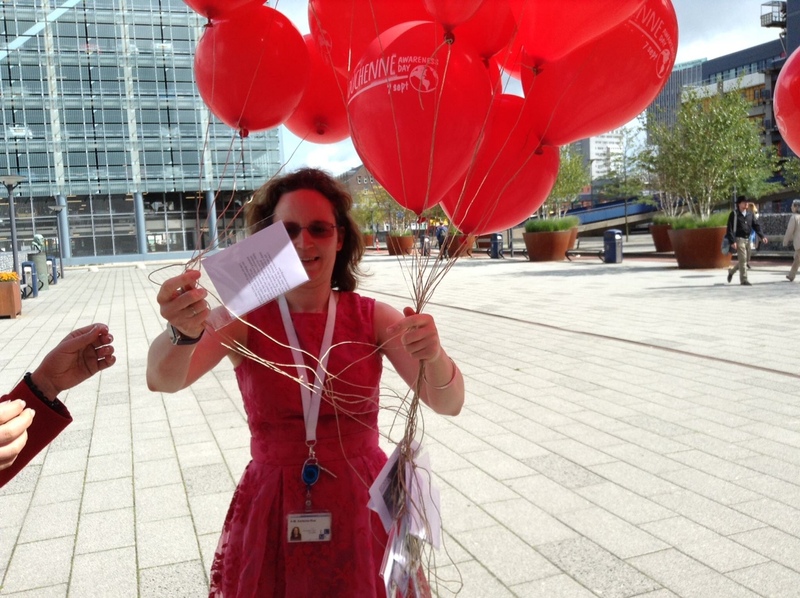 ♦ Dwi Kemaladewi participated in the “Dance your PhD” contest of the journal Science. The dance is titled “Antisense oligonucleotide mediated exon skipping for Duchenne muscular dystrophy” and has been selected as one of the four finalists in the category biology. Click to see the dance. ♦ The exon skip work has recieved a “pearl award” from the Netherlands Organization of Scientific Research (ZonMw) – one of the founders of the exon skip work. The award was handed out to Gert-Jan van Ommen on Sept 23. A movie explaining the work can be found here (in Dutch). ♦ When Annemieke Aartsma-Rus visited the Nationwide Children’s Hospital Center for Gene Therapy she was interviewed by Kevin Flanigan about exon skipping approaches for neuromuscular disorders. This interview is available as a podcast here. ♦ Omroep Rijnland (a Dutch local television station) has made a movie about a Duchenne patient. The movie also features our exon skipping work. You can find the movie here (in Dutch).